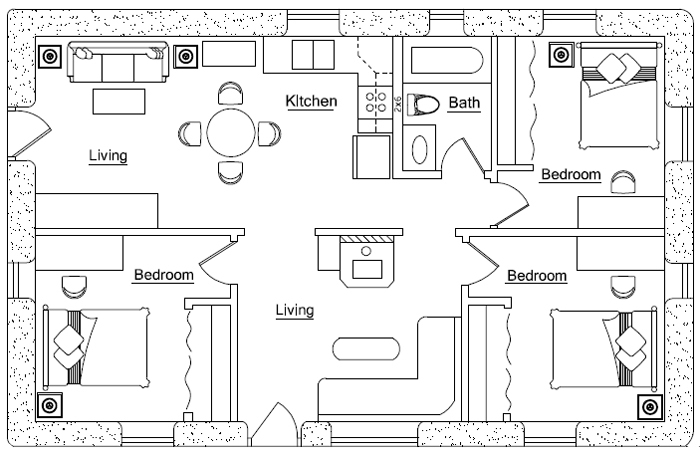 my husband and i really love this house plan. 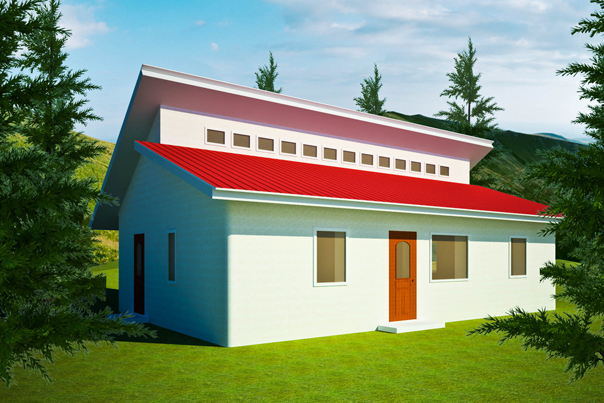 but was wondering if the craftsman (little extra room)could also be configured with the clerestory roof.Also we would be building in upper east Tennessee ( lots of red clay ) would we need to have our soil tested to get the right mixture for the earth bags. You can change the roof on most any of my designs. So yes, you can change it like you say. Order factory made trusses. Soil testing: Unless you have codes, the only ‘testing’ you need is making 1-2 test earthbags to see what works good. Fill the bags as explained on our websites and articles and videos. Let them dry and then cut open to see if they’ve turned to a very hard ‘brick’ of rammed earth. Do a drop test, etc.